In order to get into the Baseball Hall of Fame, you can’t just be good, you have to be great, and there are a lot of different rubrics used to determine greatness. For the older generation, it’s all about no-hitters and dominance and Cy Young Awards and the like. For the newer generation, it’s all about stats, not stuff that may or may not be influenced by outside factors like perception, popularity, and fame. That culture clash between old and new within the Baseball Writers Association of America and other Baseball Hall of Fame voters is what kept Bert Blyleven out for 14 years. GM Pat Gillick, pitcher Bert Blyleven and second-baseman Roberto Alomar were voted into the Baseball Hall of Fame. 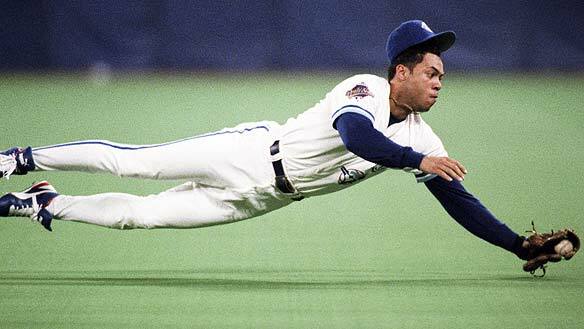 As for Roberto Alomar, he’s probably the greatest second baseman alive, hit for power and average, played incredible defense (10 Gold Gloves! ), won two World Series titles as a member of the Toronto Blue Jays teams assembled by fellow 2011 HOFer Pat Gillick (who may be the best general manager in baseball history thanks to his consistent success and franchise-building reputation), stole 474 bases, and made 12 All Star teams. Alomar’s resume is just so overpowering as to make him an easy inductee, despite his breakdown in his mid-30s. Fun fact: Roberto Alomar is the first player to be inducted into the Baseball Hall of Fame as a Toronto Blue Jay. In 33 years, the franchise has never had a player elected; in 2011, the Hall elected both their longtime second-baseman and their general manager.